Did you ever thing about New Zealand being an upside down boot? Okay, so maybe it’s a small boot with a leg warmer, but it’s got it going on. 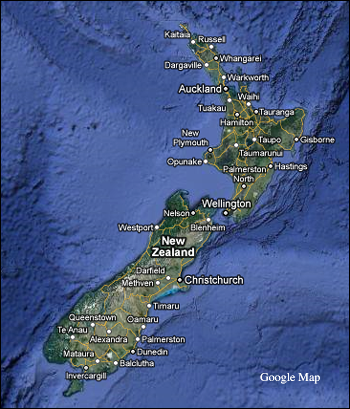 I saw your blog… hilarious to see that New Zealand indeed looks like a boot. 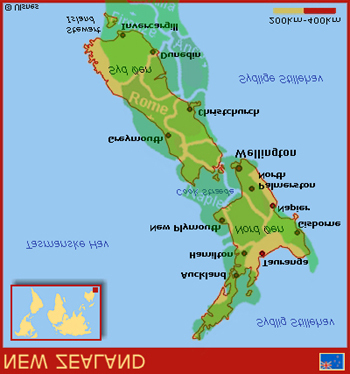 I superimposed the map of Italy onto the map of NZ and with a bit of rotation they are really quite similar: Vinopeida Map. Feel free to use the picture if you like. Everybody talks about Italy being the shape of a boot, but poor little New Zealand is down under, which means that it’s really right side up for them… with their own boot. My dear friends at San Francisco Wine Exchange had winemaker Tim Preston coming to the US, and I was the person who set up Tim in one American city after the other during his stay with media lunches and dinners. Tim was a hit. How could he not be? He’s about the loveliest person on the planet, and he makes solidly structure wines. Find a Mills Reef and buy it. 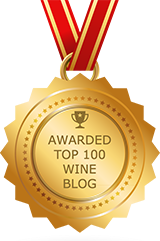 You won’t be disappointed, is all I can say, as validated by so many wine writers around the US at the time. 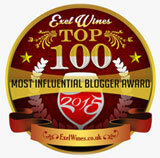 This wine blog is now opening up the world for me in a major way. 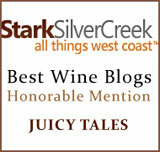 Before this blog, I have to admit that I was pretty California-centric, because those were my primary wine experiences. Honestly, I had to learn all that I could here, before I could become a world explorer. We all need some point of reference, and Napa and Sonoma ain’t all that bad, to be very honest with you. I learned what I had to. Then, the recession hit, being open to imports happened, and I’ve been off and running ever since. 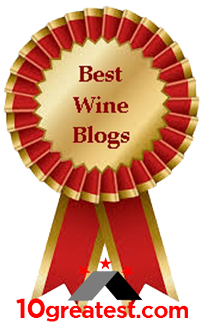 Flavors and wines that are all great buys, and I’m having a ball exploring these wines. The ones below have been tasted over a period of time, because I couldn’t bear to open them all in one sitting, and then dump what was left over down the drain. This is why you’ll find my notes aren’t consistently presented, but are more stream-of-consciousness-up-to-the-minute, as I’ve felt to report on each one in a candid way. These wines below were delivered to me by Jane Cleary from Country Vintners. She had the Zeepaard samples delivered to me earlier, and turned it right around with this new list. The list goes on, but I won’t. Buy the wine and enjoy the ride. What is in the bottle is also all over the label. Dribble a few drops from within, and you’ve got a perfect party going on. COLOR is gorgeous and crystal clear. NOSE: This isn’t the prettiest of wine descriptions; however, it’s become very interesting to me that some Sauvignon Blancs with Semillon can be somewhere between the litter box and a skunk trail… And, if I smelled either in real life instead of a wine’s aroma, I’d be totally turned off… But, in a wine glass? I find myself evaluating how many wine claws I’m smelling. I used to think about it in five claws, but now I have a Polydactyly cat, and know that it can be a cat with six or seven toes. I called him Big Foot, and he’s a little heavy handed and clumsy with this many toes, and I’d say the same for a Sauvignon Blanc at its most extreme feline aromas. Fortunately, this wine is perfectly balanced and has a pleasant nose that only hinted at my stream-of-consciousness ramblings, with a claw factor of three and a half. PALATE: Lemony lime. Not tropical, definitely cool climate flavors. Stainless steel helps to preserve all the varietal character, and pleasant flavors. A great apéritif wine with gorgeous cheeses of full body would make this wine a great food and wine hit at any gathering. FINISH: Fresh and clean with lemon meringue pie lingering. Very yummy. I love Sauvignon Blancs from New Zealand. The meow factor from this one’s definitely a four, on the scale of one to five (barring ploydactyls). Bright and fresh, I didn’t need to enjoy this one with food. It became my afternoon sipper, until it was gone a few days later. It’s a great value wine, and would please your guests as an apéritif during your summer garden parties. This one, as a Gewürtz, shocked me, but only briefly and for good reason. I’ve never tasted a New Zealand Gewürtztraminer. I’m too European centric with this variety, and expected a flowery, off dry wine. Instead, I adjusted my palate, and began to appreciate the dry, yet slightly aromatic, wine. This one would pair really well with a gooey brie, as its acidity would make for a good complement. I enjoyed it, as if I had tasted Gewürtz for the very first time, ever. COLOR: Light to medium straw. PALATE: With the above aromas, add cantaloupe and passion flower that develops. Bright palate features ruby grapefruit and white nectarine flavors with citrusy Myer lemon. FINISH: A touch of bay leaf at the finish. Rich, beautiful fruit, this one had the nose of an opulent wine, and the fruit to back it up. It made me hunger for tri-tips and Jose delivered. We both found this wine to be a celestial, despite its name. If you see this one, pick it up. I died and went to Shiraz heaven. It’s got all the right stuff that almost drips down your chin. This one was so gorgeous that I regretted not having it at a dinner party. I knew it was very special, long before I came back to this blog posting to see its price. Rich, beautiful fruit filled my mouth with layers upon layers of flavors. This is a very opulent wine, to be shared in the greatest of moments with very special friends who will appreciate its splendor. Artisan Pinot Noir from the talents of winemaker John Kavanugh, from Nelson, New Zealand. The grapes for this vintage were hand harvested from low yielding vines. This means be prepared for big flavors; although, the flavors of the grapes were still delicate. I knew immediately that French oak was involved, because it was the second flavor for me, right after sweet Bing cherries. Unfiltered, unfined, and only 680 cases were produced… An eclectic wine worthy of the price. Very similar in style to the “Moutere,” with big flavors. Toast, again, is very present. While at the winery, I occasionally tasted Mondavi’s Luce wine, because of the relationship that existed during those days. It was gorgeous wine. The tradition continues with Michael, with Lucente emerging as the perfect reflection of Luce. This wine expresses its unique terroir, with exceptional varieties being crafted into wine. It’s a blend of Sangiovese and Merlot, with that kick of Cabernet Sauvignon to place it into the Super Tuscan category. This wine is going to be enjoyed by my Jose today, as his Father’s Day wine. Our kids will raise a glass to this exceptional father… Thanks, Michael for sharing. Here’s to all fathers, everywhere… My you have a very happy Father’s Day, too.